Hama Hama is a 5th generation family-run oyster and tree farm with a reputation for quality built on hard work and clean water. Located on the Olympic Peninsula, their beds are located at the mouth of one of the shortest, coldest, and least developed rivers in Washington State, and that purity is reflected in the clean, crisp flavor of the oysters downstream. 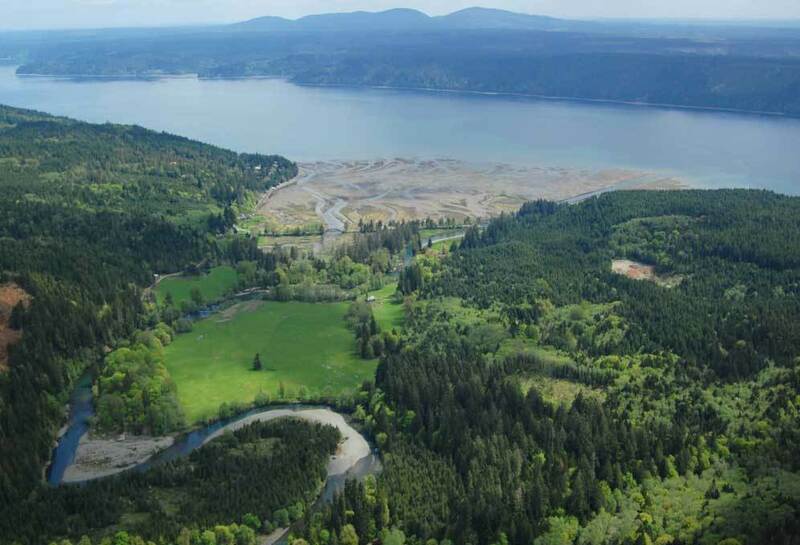 The river washes over our tideflats with clear, clean, spring-fed water as it empties into the Hood Canal. They sell their oysters at their farm store and oyster saloon, at pop-ups throughout the Puget Sound and Portland regions, and direct to consumers and chefs across the nation. 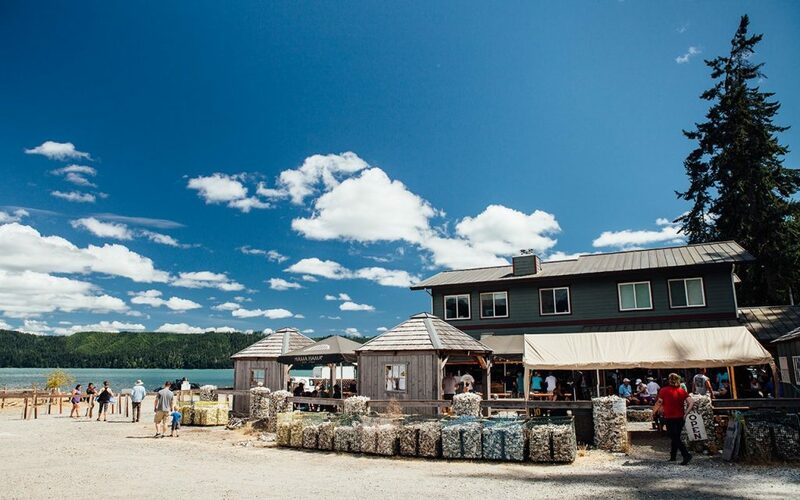 Their mission is pretty simple: utilize low impact farming methods to grow world-class oysters, have fun, and leave something good for the next guy. The Hama Hama Farm is a watershed. Upstream, they work on tree time, stewarding a forest for seven decades before harvesting clear, tight-grained Douglas-fir. They pick mushrooms, raise cattle, and boil fir needles into jelly. Downstream, their schedules are set by the gravitational pull of the sun and moon. On the beach, they harvest at low tide and bring product to shore at high tide. Above the tideline they produce and nurse oyster seed, wash oysters and clams to sell, and shuck oyster clusters. They don’t feed, fertilize, or doctor anything, and the animals actively clean their environment as they grow. Their farm is an ecosystem, and from forest to flats, from salt water to fresh, from low tide to high, it’s always in transition. Over the years they’ve branched out to explore different merroirs and added farming methods to produce oysters that are unique in the market and truly distinct from one another. 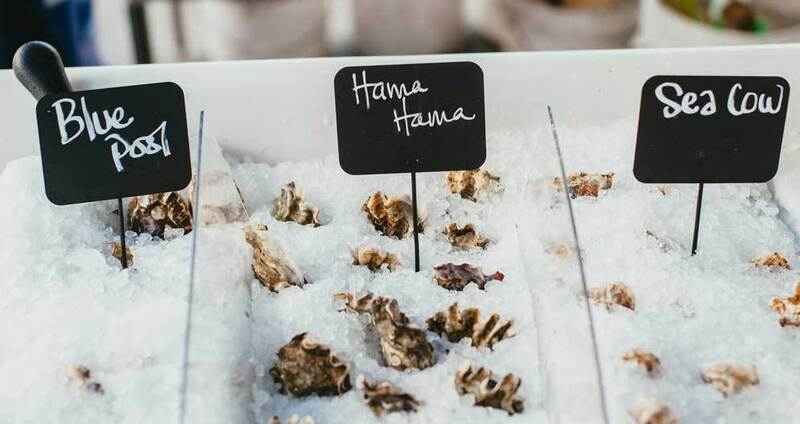 Hama Hama grows two varieties of oysters at their home farm: classic, beach-grown Hama Hamas and tumble farmed Blue Pools. They also source oysters from elsewhere in Washington State, procuring super-sweet Sea Cows and Hove Coves from the nutrient-rich estuaries of South Puget Sound. Today the company is both a community and a business. The shared mission is to manage their resources for current and future generations. Nearly 30 people work for Hama Hama, many of them for several decades or longer. United by kinship, history, work, and place… and by the love of these darned good oysters. 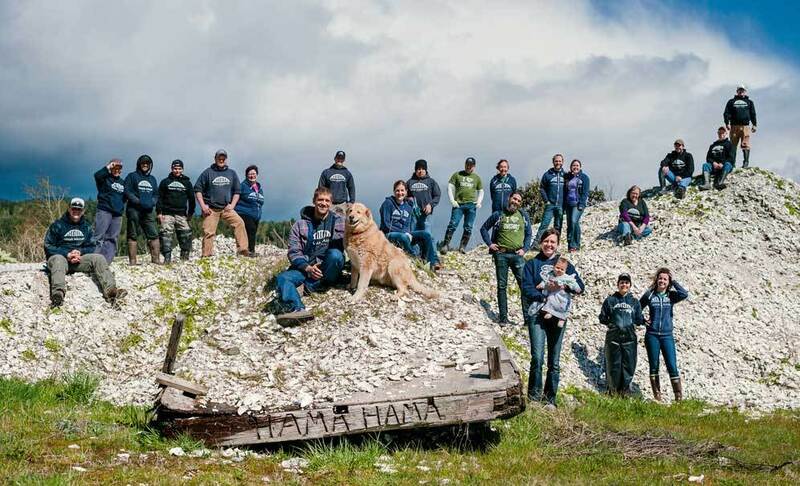 The Hama Hama store and saloon are located a shell’s-throw from the tideflats, and a visit to the farm is the best way to experience Hama Hama oysters in their native habitat. Go during the week to see the shucking crew in action, and ask for a self-guided tour map to better explore the farm. Hama Hama is an all-ages, dog friendly spot as long as dogs remain on leash and away from the salt water. (No swimming dogs!) No boat access. The Oyster Saloon has live music from 1 to 4 pm every Saturday & Sunday from Memorial Day to Labor Day.